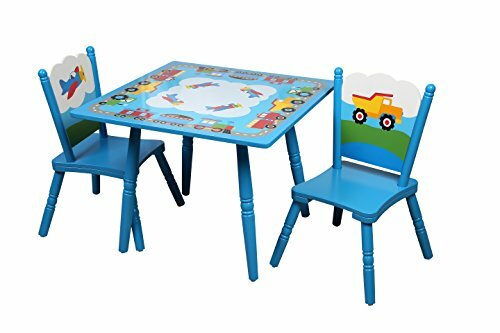 This high quality Trains, Planes and Trucks Table & Chair Set coordinates with Olive Kids patterns. The vivid primary colors create this eclectic transportation scene that is revealed on both the table top and two chairs. This completes any trains, planes or truck themed playroom. If you have any questions about this product by Olive Kids, contact us by completing and submitting the form below. If you are looking for a specif part number, please include it with your message.